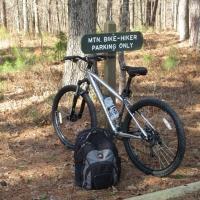 Forums › Mountain Bike Forum › Suggestions around WV, VA or PA? 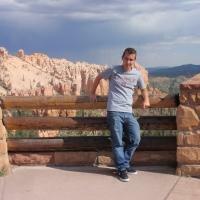 I’m looking for a place to meet up & ride with my cousin, somewhere between KY and NJ (WV, PA, VA, OH, etc). I’ve been riding less than a year and he just got his first mountain bike this week. Any suggestions on a good location for a weekend of beginner friendly, but challenging & fun riding? Wow, that’s a -lot- of territory! Pocahontas State Park just outside of Richmond VA – Superb beginner to intermediate trails, even advanced riders have fun. 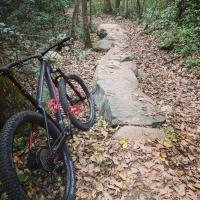 Allegrippis Trails, near Altoona PA – another “just plain fun that will put a great big smile on your face,” trail system. But honestly, “KY to NJ” covers an insane amount of ground – You might want to sift through some of the “Top five” lists on this website. If you are looking for less technical and more flow check out Mountwood Park, outside of Parkersburg WV. This is a county park maintained by RVMBA and we claim 30 + miles of single track. This area is WV hill country so for every climb there is a awesome down hill. These trail are built using the topography so even the climbs aren’t straight up and down. Check out River Valley Mountain Bike Association page on the web. Parkersburg is on the Ohio River and Mountwood Park is 15 miles east on US Rt 50, also I-77 goes through Parkersburg. Within a radius of 45 minutes drive you also have North Bend State Park 20 miles single track, Marietta, OH city trails close to 30 miles single track, Wayne National Forest 30-40 miles single track and Strouds Run State Park, Athens Ohio with 25 miles of single track. All mileage is a estimate but close. If you want mountain single track head east to Davis, WV and Blackwater State Park for some really technical and awesome riding. I’d have to recommend my local trails, they fall within your range. They’re located within the tri-state area of southeastern PA, northern DE, and northeastern MD. We’ve got about close 200-250 miles of singletrack from flowy to rocky and technical. The local parks are Fair Hill state park in MD (80 miles, good variety of tech, also decent elevation for the mid-Atlantic), White Clay/Middle Run in DE (super flowy, skills section in White Clay with some North Shore, and there’s a new pump track in Middle Run) Iron Hill in DE (old mining pit with fun drops) & Brandywine Creek SP in DE (rocky technical with the highest elevation in DE, yes there is some elevation in Delaware). All of the above trails are close to 200 mi within a 40-45 min drive from each other. Definitely a great place to plant yourself for a great weekend. They are also mostly beginner friendly with some intermediate level challenges. There’s also great riding up near Philly (Belmont, Wissahickon) and Reading (Mt. Penn). Too many worthy entries in that broad area. But I’d have to say Hepler is helpful here. If you’re looking for reasonably easy trails that are still fun, that area with Fair Hill, White Clay/Middle Run, and Brandywine, is a nice concentration of good trails. If you are making plans for the immediate future, pay attention to the weather and trail conditions. 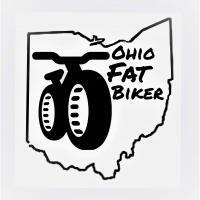 My home trails in OH have been closed for a month because the freeze thaw and then rain. Just finding a place with decent conditions might be victory enough. I had that same question last year for myself. Blackwater State Park in WV has a great old lodge to stay in and I found the trails outside of Davis, WV were better than in the park itself. Davis, WV has a great local bike shop to make recommendations. The best trip for a beginner who wants to be with someone for a “trip” is the historic C&O towpath to Washington DC from Cumberland MD with or without the Great Allegheny Passage. That trip can be done in any segments you want or as a long trip by either camping or with nice places to overnight. 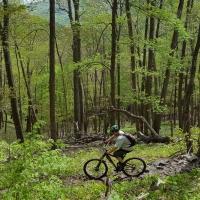 Allegrippis trail system near Raystown Lake in PA – fast and flowy, go during dirtfest to demo bikes and meet lots of other riders. Coopers Rock State Forest near Morgantown WV – great trail system, fast and rocky enough for some rudimentary bike handling practice. Big Bear Lake, near Morgantown WV – also a location of dirtfest, and some cool annual races. pure east coast singletrack.